This month is a "how to" article about creating your own custom TrimFilm colors that will match your paints. We are a little late this month with our Newsletter and the March New Releases. No need to call or email...there on the way! The April "New Releases" will be ready on-time for the April Newsletter and both the March and April New Releases will be on the New Release page for 30 days. 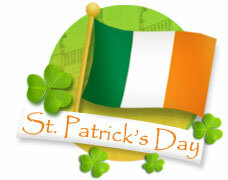 Enjoy the St. Patricks Day celebrations and happy modeling! Includes; Microscale Ruler, 8 Trim Film Colors in Engine Black, Reefer White, Boxcar Red, Tuscan Red, Reefer Yellow, Brown, Green and Gray - Micro Set and Micro Sol Solutions. There have been many times when I would be seeking a color match between paint and TrimFilm. A late night epiphany and experiment led me to a discovery. I discovered by painting clear TrimFilm with the desired color you will be able to decal with matching TrimFilm colors. This really frees up the modeler to use whatever color paints and allows for a few tricks to precisely apply paint where it would be time consuming and hard to mask. Painting TrimFilm works best with enamel type paints. Water Soluble paints tend to not adhere to the clear TrimFilm as well as the enamels do. Airbrushing works the best as it keeps the decal film thin and easily disguised when applying the MicroSet and MicroSol solutions. Airbrushing also allows you to gradient between clear and the painted color to simulate overspray. I have successfully used Floquil paints without having to put a clear cote on top prior to being set in water. Other paints might require an over cote with Microscale's Liquid Decal film prior to be set in water. It's best to test your painted TrimFilm first if you are uncertain of the results of being set in water. There are just so many ways one can use this technique to accurately represent what is depicted in reality. The application to which you can apply this method is limitless. A few have used this method to add anti-glare to the top of the noses on diesels. I have used it for patching boxcars and simulating the repainted repaired areas from the car shop. I'm sure if someone wanted, and with enough patience, you can make your own stripes too!